Riding Classes are offered to the public through the Extension office. These classes are held weekly for 6 weeks in the fall and then again in the spring. 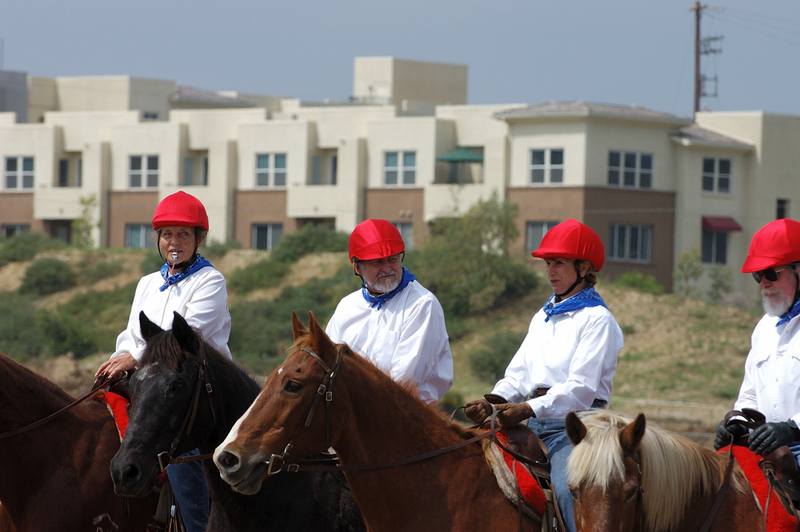 The riding classes held at Pierce are open to adults and teens 16 yrs and older. A class for 8-12 year olds is held at a different facility. Pierce Extension is a self-sustaining, user-fee supported program which welcomes everyone in the community to participate. Taught by experts in their field, Extension classes are offered in addition to Pierce College's instructional program, and are not academic equivalents of regular classes, or prerequisites for the traditional college program. Call Extension at (818) 719-6425 for more information or to enroll in a class. You can register by mail, fax, phone or online! Join us on the road to life-long learning! Pierce Extension horseback riding classes are offered to the community in the fall and in the spring. Click here or call 818-719-6425 to register.